Space. 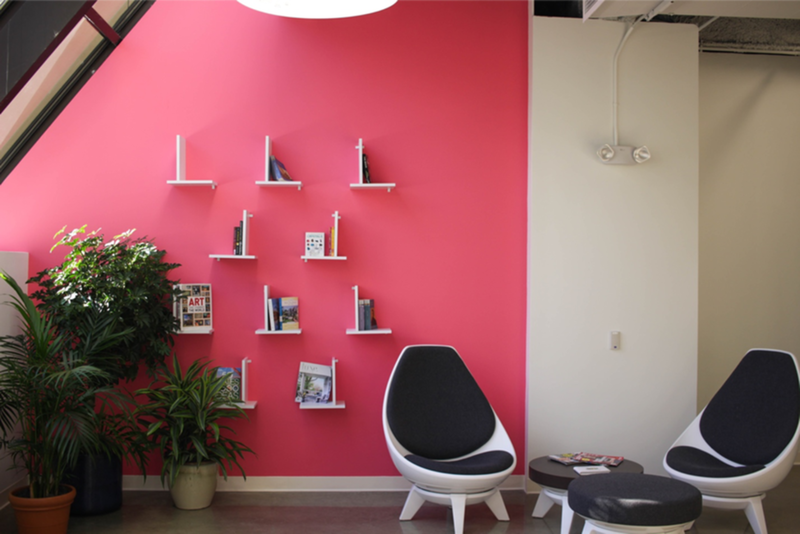 It’s important to optimize every last square foot when it comes to apartment living. 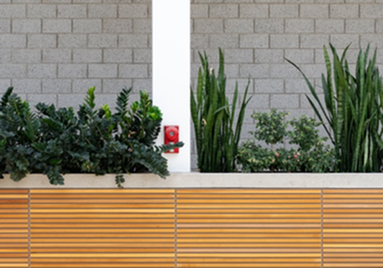 Look for plants that won’t overrun your living quarters. Light. Some apartments offer more natural light than others. Low-light plants are usually a safe bet for any indoor living situation. Position plants that require more light near a south or east facing window. Maintenance. Unless you have ample time and patience to coddle your indoor blooms, look for low-maintenance, resilient plants that can withstand a bit of neglect. Hardy plants are great in that they won’t hold a grudge if you forget a watering or fertilizing treatment from time to time. 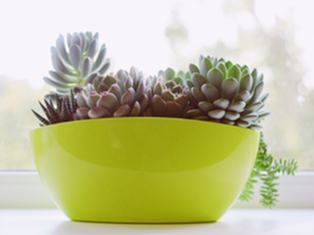 The team here at TLC Properties has curated the top seven plants for apartment living based on these considerations, plus some useful “dos” and “don’ts” for indoor gardening. So, what are you waiting for? Let’s get planting! Air plants grow exactly how their name implies — in air! These unique plants don’t require soil to grow, making them especially versatile for indoor use. Air plants do need bright light, however. 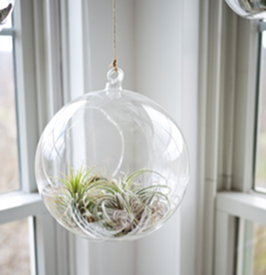 Position your air plant near a window, on a windowsill, or under ample fluorescent lighting. And don’t let their desert-like looks fool you: the air plant is one thirsty companion. Soak your air plant in water for 20-30 minutes every two weeks, then allow the plant to dry out for four hours in a room with ample air circulation. For in-between watering, lightly mist the air plant with a spray bottle once weekly. Succulents have recently gained popularity for...well, for being so darn cute! There are more than 40 varieties of succulents, some of which are even on the endangered species list. The different shapes, textures, and colors of succulents make for an eye-catching presentation in any indoor space. Most succulents do need at least half a day of direct sunlight. In terms of watering, a good soaking mist once weekly should suffice for most succulents; however, make sure to read the care tag on your plant, as directions can vary across varietals. If gardening isn’t your forte, the snake plant is for you. Snake plants, also known as mother-in-law's tongue or sansevieria, are some of the hardiest plants known to man. In fact, the snake plant seems to thrive off neglect. These indoor plants are tolerant of nearly any light condition, but grow best in areas with indirect, low light. Allow the soil to dry completely between watering them; but, be careful not to overwater, as the snake plant is especially prone to root rot if the soil gets too wet. Fresh herbs are a delight to have on hand, especially if you’re into cooking. Perennial herbs, such as rosemary, oregano, thyme, and chives are simple to grow indoors and add a flavorful punch to your favorite dishes. Basil is another herb that doesn’t require a green thumb to thrive. 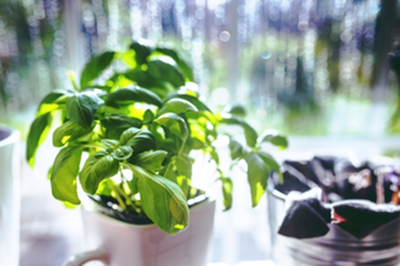 Herbs vary in their lighting requirements, but basil specifically loves heat and bright light. Water your basil regularly, but don’t allow the soil to become too soggy. In the wild, lucky bamboo grows naturally under the canopy of tropical rainforests. Fortunately, lucky bamboo can also grow just as well under the canopy of your apartment roof! Lucky bamboo requires very little indirect light; it can thrive in rooms that lack windows, such as an office or bathroom. This plant is relatively low maintenance, except for when it comes to watering. 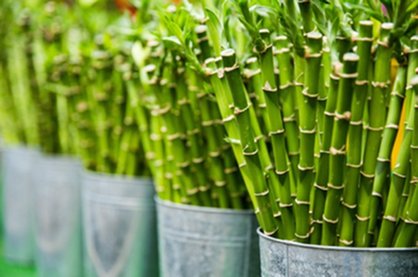 You’ll need to water your lucky bamboo so the roots are covered, keeping the water level constant. Lucky bamboo is also extremely sensitive to salts and chemicals found in tap water. Use of regular tap water will cause the leaves to turn yellow and eventually die. For these reasons, ensure to use distilled water or rainwater to quench its thirst. Pro tip: Avoid arrangements with four stems, as the number four is considered back luck in Chinese culture. Use three stems instead, which is said to bring happiness, long life, and wealth. Colocasia, otherwise known as “Elephant Ears”, got its name because the shape of its leaves resembles that of the gray gentle giant. Although elephant ears are tolerant of direct sun, they thrive best in indirect natural light and with regular, light watering. One major consideration with elephant ears is their need for high humidity, so you may need to invest in a humidifier if you don’t already have one. Elephant ears can also grow quite rapidly, so make sure to choose a relatively large container for potting. 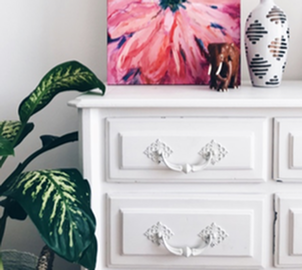 For a pretty pop of color in your apartment, turn to African violets. These indoor plants bloom year-round with bright purple, white or red flowers. 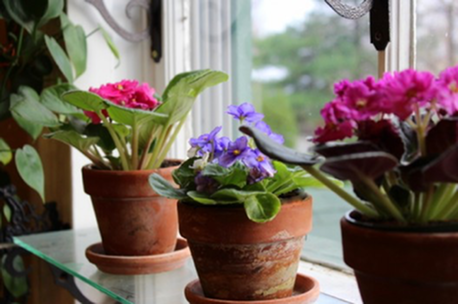 African violets can flourish for years, making them an attractive option for indoor gardeners. Position your African violets in bright, indirect light and water regularly with room temperature water (cold water will cause the leaves to spot and brown). Make sure also that your container has a water reservoir to allow the water to seep and flow out the bottom. Consider space-saving planters. Vertical wall planters and hanging containers are a great way to conserve floor and counter space while still enjoying the benefits of your indoor garden. Clean your leaves! Cleaning the leaves of your plants is important for a couple reasons. First, dusty plants simply aren’t aesthetically-pleasing. Second, and more importantly, regular cleaning keeps your plants healthy by ensuring sunlight directly hits the foliage and isn’t blocked by a layer of dust. To dust your plant, take a dry washcloth or Swiffer dust pad and gently run it over the leaves. Shop local. Springfield, MO offers a variety of boutique plant shops where you can find a treasure trove of greenery. Overwater. Most rookie gardeners make the mistake of overwatering. Too much water can cause your plant to drown, which is also known as “root rot.” For most plants, a simple rule of thumb is to check if the soil is dry and add just enough water to keep it damp. For indoor plants, watering only once weekly should suffice. Move your plants too much. Plants, like people, become adjusted to the spot where they’ve been living for a while. When moved too often, it becomes difficult for the plant to adapt to the different nuances of its new environment, which can stunt its growth. Make sure to pick a special place for your plant and stick with it! Transform your apartment into a place of natural beauty with lush, vibrant plants. With so many options that are easy to care for, your only gardening challenge will be choosing the best one for you. What’s your favorite indoor plant? Share your thoughts with us and others in the comments section below. Then, make sure to share these tips with your plant-loving friends on Facebook and Twitter!